Will 2017 be the year of the co-working space? Co working spaces have now become the growth hub of the startup ecosystem, but the concept had its humble beginnings, a little over a decade ago. The idea then was simply to utilise basic infrastructure and resources that working from home could not provide. But as the number of entrepreneurs grew, so did a hunger to collaborate, and to generate and exchange ideas. Soon it became clear that these spaces had tremendous potential to provide a network much needed for the growth of businesses. Today, most co-working spaces are a cornucopia of services and benefits. Technological support, fundraising and networking opportunities, mentorship, basic amenities such a stocked pantry, cultural and de-stressing activities, a friendly non-competitive atmosphere, and a sense of community, make up some of the common benefits provided by all – this is of course, excluding the wide range of offers on renting desks. 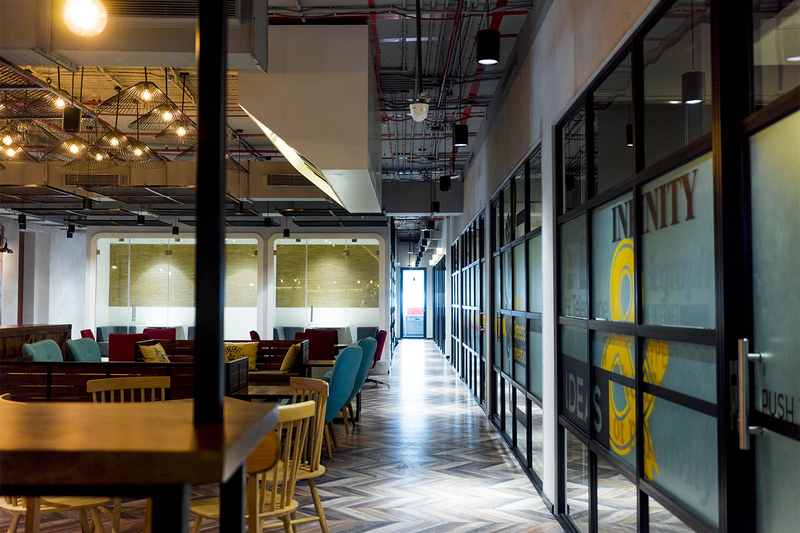 All co-working spaces, however, have one common offering – a hassle-free environment for the optimum growth of a business, which makes these spaces a hive for the busy bee entrepreneurs to co-work in. With 14 operational centres in NCR, Bengaluru, and Mumbai, Awfis houses a diverse community of members ranging from SME’s, large corporates, and solopreneurs across industries. They provide Uber-like real time bookings anywhere between one hour and 11 months prior to requirement, giving their users a flexibility of booking ‘just-in-time’ through their mobile app. We have tie ups in multiple cities for meeting rooms with hospitality players like Lemon Tree Hotels, Hyatt, Trident, Marine Plaza, Sarovar, Beatles, Red Fox etc. Our pilot project, called ‘Mobile Awfis’, in Gurugram, allows our members to book the van from the app and be productive even while on the road. Our eight-seater mobile van is fully equipped with work desks, meeting table, high speed Wi-Fi, teleconferencing, printing, CCTV, pantry, washroom, appropriate lighting, and ergonomic furniture for a comfortable and productive work environment. Awfis currently has members from sectors like e-commerce, Food tech, digital marketing, healthcare and wellness, Edtech, Fintech, travel, legal, and many more. Do you have an incubation programme and screening process for the startups? There are no set membership criteria, but we do focus on diversifying our community to provide more networking and collaboration opportunities to each of our members. We have a great mix of startups, SMEs, corporates, and freelancers from various industries working out of our centres. New Delhi-based co-working space provider Awfis has announced raising $20 million in Series C funding. Existing investor Sequoia Capital was joined by Innoven Capital and The Three Sisters Institutional office in this round. The startup now has more than $50 million in total funding. A press release from the company states that the fresh capital will be used to deepen the Awfis network across India. They will also launch new and innovative products/services and improve the technology platform. Founded by Amit Ramani, Awfis was incubated by TTS:IO with $11 million in April 2015. The company claims that in the last fiscal year, it scaled up to 25,000 seats across 55 centres with more than 15,000 members, as compared to 5,800 seats in 20 centres with more than 4000 members in July 2017. The press release says that Awfis’ customer base includes more than 1,200 companies, including India’s leading startups/MSMEs and Fortune 500 companies. Their clientele includes Vodafone, Mercedes Benz, RBI, Hitachi, ShareKhan, Zomato, and Practo among others. A Knight Frank report adds that despite the demand for co-working space, there are several challenges that have to be tackled; for instance – changing the conventional mindset of a client who would want to book a meeting room based on the touch and feel factor, rather than an app. However, Awfis has gone an extra mile. With more than 100 strategic partnerships, Awfis enables its community members to access service providers in accounting, legal, recruitment, payments, web services, mail management, healthcare, insurance etc. Awfis follows an asset light ‘managed aggregation’ model – partnering with space owners who have unused commercial space and transforming them into workspaces. This includes under-utilised spaces in hotels and malls. Awfis has inked lease deals totaling to 0.25m sq. ft. in the last 60 days across Hyderabad, Kolkata, Chandigarh, and Noida. The company currently has a total footprint of 1.5 million sq. ft. across its 55 centers across nine cities. In the future, the company intends to maintain 60 percent of inventory under managed aggregation model and the rest under straight lease model. Awfis competes with WeWorks, Cowrks, 91Springboard, Bhive, and Smartworks, among others. Started in 2015, Awfis is a co-working space that has over 20,000 seats and clients that range from SMEs, startups, to large companies. A large San Francisco-based company was looking to set up an office in Hyderabad. 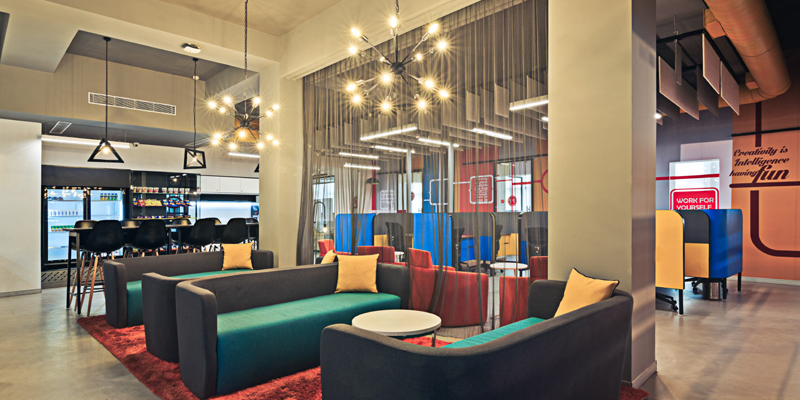 The headquarters boasted of a swanky space, and its Hyderabad presence had to match up. While setting up an office seemed like the course of action, the team felt the need for a more flexible and economical way of working. Enter Awfis. 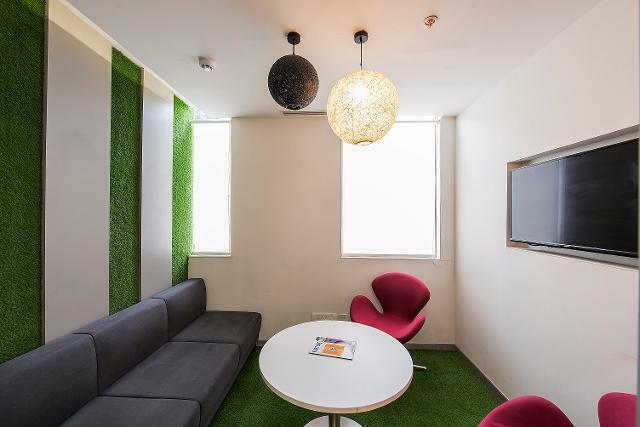 Taking away setting-up hassles like extensive costs, and dealing with real-estate developers and interior decorators, co-working spaces are making life easier for companies. Awfis was started around 2015-end by Amit Ramani, who had earlier worked with US-based realty company Nelson; and YES Bank CEO and Managing Director Rana Kapoor. “In 2014, when I was in the US, I noticed the work trends there, and how the co-working models worked in the market. I wrote a business plan on my flight back. After that, I met Rana, who I knew earlier, and we got a seed investment of $3 million. Rana and me pooled in our resources and pumped in $11 million and started Awfis,” says Amit. Last year, Awfis raised $20 million in Series-B funding led by Sequoia Capital. It was touted as one of the biggest investments in the co-working space. Awfis’ premise was simple – there was demand for quality infrastructure, which wasn’t available, and it would provide it. Amit explains people who were looking for a few hundred seats were stuck with real estate developers who had a 20,000 sq ft floor plan, and were inflexible. Apart from this, there was five-year lease periods, lock-in periods, security deposits – the list was endless. Also, one doesn’t get the space where they need it. “There is also a certain trust deficit and lack of transparency while working in the real estate sector. Accessibility, flexibility, and transparency can convert a conventional office user into an Awfis user,” says Amit. Until early this year, the team was operating in over 50 centres in eight cities. They launched co-working spaces simultaneously in Delhi, Mumbai, and Bengaluru as of March 2018, and they have over 20,000 seats. Amit says they realised early that a co-working space was a supply play, and not a demand play. Initially, when the team met the developer community, the latter was resistant to the idea. When they said there would be no security deposits and other lease agreements, and the developers would make money when Awfis does, all of them showed the team the door. In the early days, the founders decided to lease the space themselves and then rent out seats. With time, they decided to move into two different models – a joint venture (JV) model, where Awfis will lease the space and rent seats. The second model is a management operator model, where Awfis works like a managing operator, and takes a percentage of the revenue. Today, they run on a 50:50 ratio, but want to shift to a 70:30 model, where 70 percent would be the management operator model. Amit believes this model will help stretch the capital further. “I am not trying to pretend I will create a demand for the next new micro market. I don’t have the ability to create a controlled real-estate space, and somebody has already done that. What I can do is provide the infrastructure at cost-effective prices, where I can attract the demand,” says Amit. He explains that people primarily choose Awfis for the flexibility it provides. They are able to reduce costs by close to 30 percent by following the seat model, says Amit. He adds that Awfis’ ability to get the supply is better, as the team ends up buying close to 25,000 seats, and the companies, in turn, use what they want and save money. Currently, more than 70 percent of Awfis’ clients are medium and large sized companies. Vodafone, Sharekhan, Mercedes Benz, Orange Business Services, Zomato etc., have taken up spaces at various Awfis centres across India. Vodafone shared services team has taken up 380 seats at Awfis’ Pune centre. “Sharing assets across categories is a huge trend, and we believe office spaces will be no exception. The real value will come from network effects, as companies expand and scale up. The key capabilities that Awfis brings to the table are deeply-penetrated sales engine for asset owners, and efficient design and quality at reasonable prices for tenants and community members,” says Abhay Pandey, Managing Director, Sequoia Capital. Currently, the co-working concept is fast catching up in India. Awfis has several competitors like 91springboard, WeWork, BHIVE, AltF Co-working and many others. WeWork has so far raised over $7.65 billion, and has a strong presence globally. Amit believes they are different, thanks to the model they follow, and adds that most co-working spaces are following a lease model now. He says they have been profitable in every centre for more than three years now. Amit, however, refused to elaborate on the numbers. Awfis hopes to expand to Chandigarh, Ahmedabad, Jaipur, Kochi, and Indore in the near future. Online fashion commerce market leader Myntra is set to launch 50 brick-and-mortar stores in two years for its private labels, across cities. Mytra-Jabong CEO Ananth Narayanan has said 15 of them will be opened in this fiscal. This is Myntra’s latest effort in pushing omnichannel retail, by enabling offline stores with advanced tech for better customer experience. 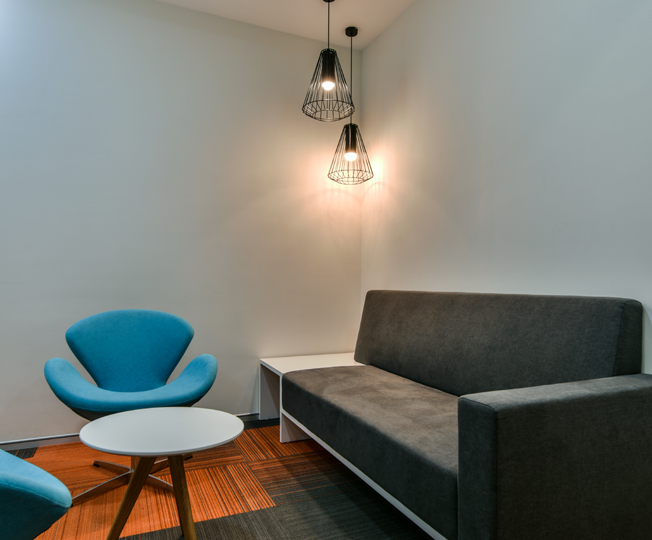 Taking away setting-up hassles like extensive costs, and dealing with real-estate developers and interior decorators, co-working spaces are making life easier for companies. Awfis was started around 2015-end by Amit Ramani. Last year, Awfis raised $20 million in Series-B funding led by Sequoia Capital. It was touted as one of the biggest investments in the co-working space. A big podcasting wave has gripped the world over the last few years. Podcasting ad revenues have grown in double digits from $69 million in 2015 to over $220 million in 2017. Apple Podcasts continues to lead the market. Its biggest challenger is Podcast Addict, the #1 podcast app on Google Play Store. As of 2017, Podcast Addict had notched up a billion episodes, over 8 million downloads (on iOS and Android put together), nearly half a million reviews, and an average rating of 4.6 out of 5. India’s grocery market – now worth $600 billion – is the sixth largest in the world. Both wholesalers and retailers are now opening up to the possibilities of online purchasing. To enable HoReCa (hotels, restaurants, and cafes) businesses, retailers, and suppliers with better margins, quick turnarounds, and smaller inventories, a bunch of startups in India are using advanced technology.